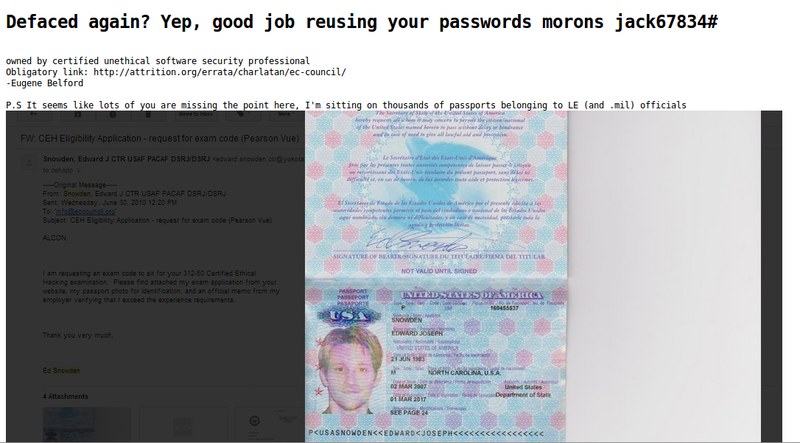 "Owned by certified unethical software security professional" The defacement message reads. 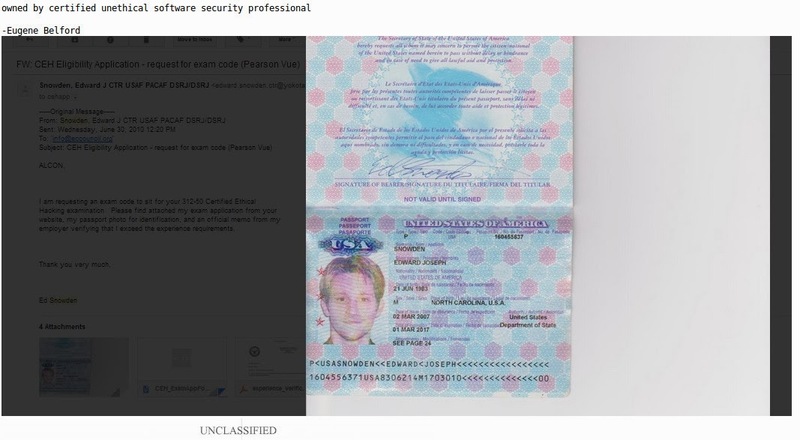 He has also put in the deface page documents proving that "Edward Snowden" attended the CEH classes in India. A spokesman from CSPF (Cyber Security and Privacy Foundation) says, it appears to be hackers used DNS hijacking attack to deface the website and possible gain access to their email. Another CEH certified professional says he was not satisfied with EC Coucil Training. He says though the course material is good and certification is recognised worldwide, the trainers from francisees of EC Coucil do not know hacking and they are not competent to take CEH classes. Update: Sometime after this news was posted the hacker edited the deface page with this extra text. P.S It seems like lots of you are missing the point here, I'm sitting on thousands of passports belonging to LE (and .mil) officials "
It might be that the attacker has gotten access to the emails of EC Council and hence all the email correspondence of the Law Enforcements and Military officials might be compromised also.